Chris Snidow and his wife Catherine lead pilgrimage trips to France to sites associated with Joan of Arc. A professional keyboardist, he also has recorded a New-Age/electronic style CD inspired by Joan, Daughter of God, mixing introduction tracks with Catherine Snidow reading quotes from Joan in French followed by the Chris’s musical compositions. You can hear samples here and buy it from Amazon.com or find out more about the Snidows and their pilgrimage trips and CDs on their own website. 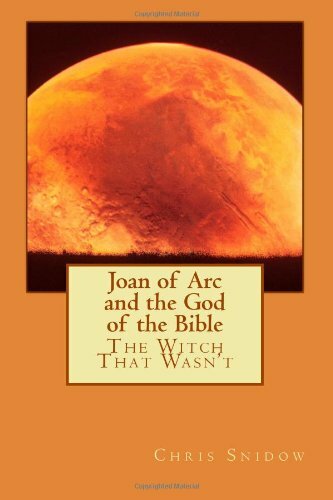 Posted in E-Book, Nonfiction, SpiritualityTagged Chris Snidow, Joan of Arc, Joan of Arc and the bible, witch that wasn'tBookmark the permalink.